I wouldn’t be without my daily dose of freshly pressed juice. I have the luxury of working approximately 2.46 minutes walk away from my inner city apartment and I return home every weekday lunchtime to my juice awaiting me in the fridge. My lovely Beau is Weekday Juice Boy and I’m Weekend and Holiday Juice Girl, so there is no excuse not to have our daily juicy juicy hit. So, why is juicing so damn good for you? Juice is a concentrated source of antioxidants, nutrients and immune enhancing goodness, which will increase your energy if you’re feeling sluggish and ensure you’re fighting fit again. Juice is brimming with brilliant phytochemicals, which are the substances in plants that are among the most powerful ways to fight disease. Juice is also a quick source of live enzymes, vitamins and minerals in their natural state. In combination with the micronutrients present in juice, cells can quickly absorb a greater amount of goodness, which supercharges your body. Also, as all or most of the fibre is removed, the digestive system is not being taxed and is able to absorb a higher proportion of nutrients. This concoction of beetroot, carrot and ginger is called an elixir, as right now as summer beckons (and winter for you all in the northern climes), it’s a serious vitamin dose to get that spring back in your step. Beetroot in particular is one of the richest sources of nitrates and antioxidants that improves blood flow and blood pressure in the body. 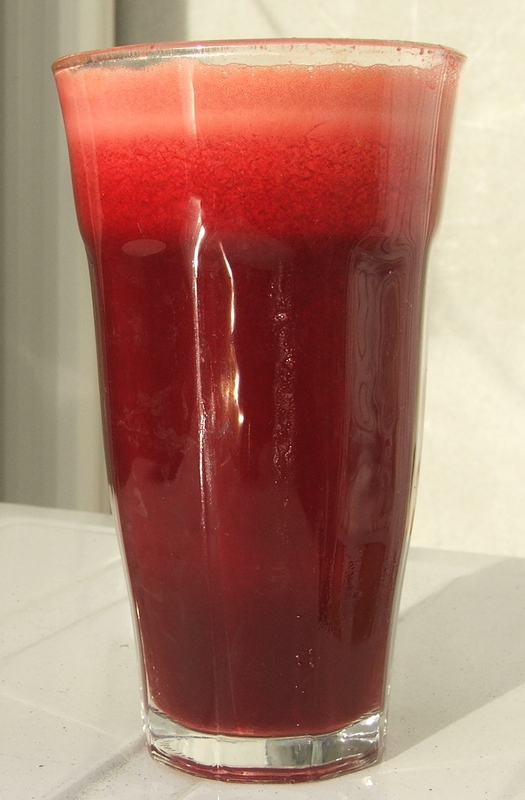 Beetroot juice’s star attraction is its unique source of phytonutrients called betalains, which research has indicated provides antioxidant, detoxification and anti-inflammatory support. It’s also rich in folate, vitamin C, potassium and nitrates, and is one of the best liver cleansers around, so drinking it every day is a stellar habit to get in to before the impending ‘silly season’. Some people can feel nauseous after drinking beetroot juice, so start off by juicing half a beet and gradually increase. Evidently this is due to the rapid cleansing action of beetroot as it detoxifies the kidney, liver and blood. If you don’t have a juicer, I thoroughly recommend investing in one – it’s been one of the best purchases that we’ve ever made. With Christmas just around the corner, buy one for your beloved, then you can both reap the benefits. A whole apple or cranberry juice to sweeten. Rev up the juicer, press the ingredients into a glass, top up with cranberry juice (optional) and drink up.